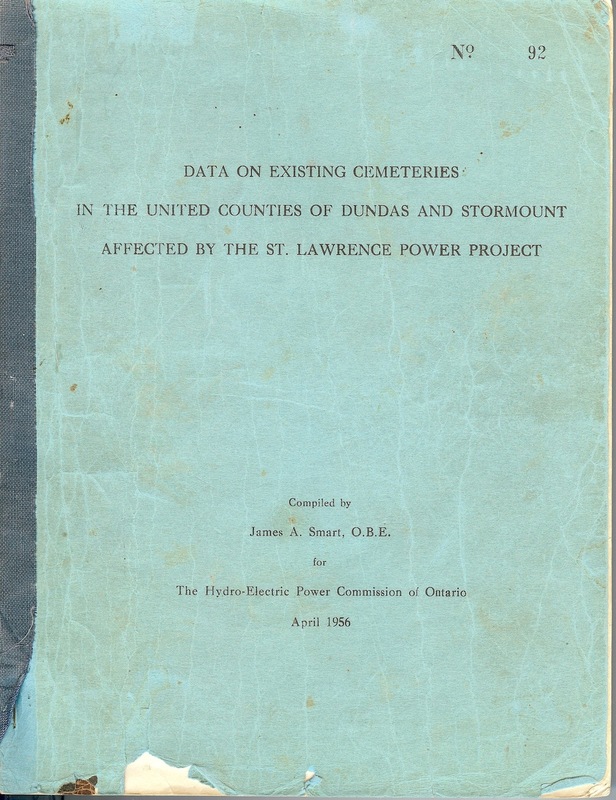 In the time that the work was being done on the St. Lawrence River, between Cornwall and Iroquois in the 1950's, Ontario Hydro was also checking the cemeteries that area in order to preserve a record. This work was finished in the mid '50's and covered 15 cemeteries. The book as Ontario Hydro published it was softcover, 8.5 x 11 and about an 1 inch thick, stapled of at least 191 pages. Each cemetery also had a little write up of some history. 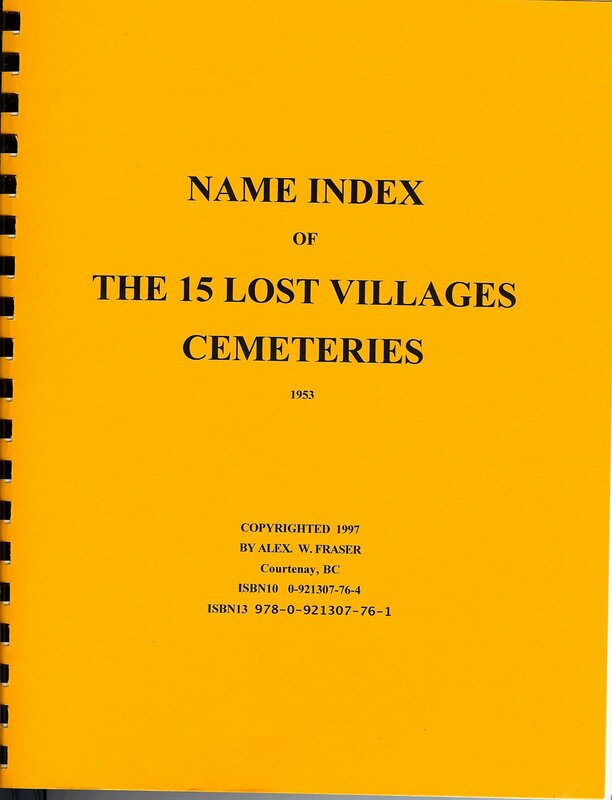 This index has over 4900 names in it and takes up about 160 pages when printed out and bound. Copies will be available in two formats and there is a cost involved and payment will be required before shipment will be made. This index is Copyrighted by Alex W Fraser. Copying any of our material [published or unpublished] in bits and pieces to a web page, yours or anyone elses, without our written permission is an illegal act. If you wish to make a link of one of my pages to yours, without any alterations, you are free to do so. There already are indications that this kind of misuse of our material is already happening, without any consideration of proper credit or our permission to use it. Hard paper copy, softcover, cerlox bound. Conditions of Use Personal use only of the user. The Soft cover cerlox bound of this work, about 165 pages costs $29.50 + 10.00 postage & handling Canadian Total $39.50; or $43.50 US funds postpaid. This index is made up of the following format, covering Surname, First name, Location, Reference, Date, Notes, Page Number.